It is easy to confuse customizing jewellery and having a piece of custom bespoke jewellery. This is why it is important to learn what a piece of custom bespoke jewellery is. This refers to a situation where a jewellery designer allows you the opportunity to work with them on customizing jewellery to your liking from start to finish. In this case, you have the ability to point out exactly what you need and how you need it done. For those who value jewellery that is highly customized to their taste and preference, custom bespoke jewellery provides the best solution. We have discussed some of the advantages of having custom bespoke jewellery such as bespoke gold jewellery. Having custom bespoke jewellery means that you get something extremely unique and you won’t find another person with the same. This means that you are a trendsetter in your own way and tend to stand out among people. The likelihood of experiencing issues with this type of jewellery is very limited unlike with jewellery that is mass produced. 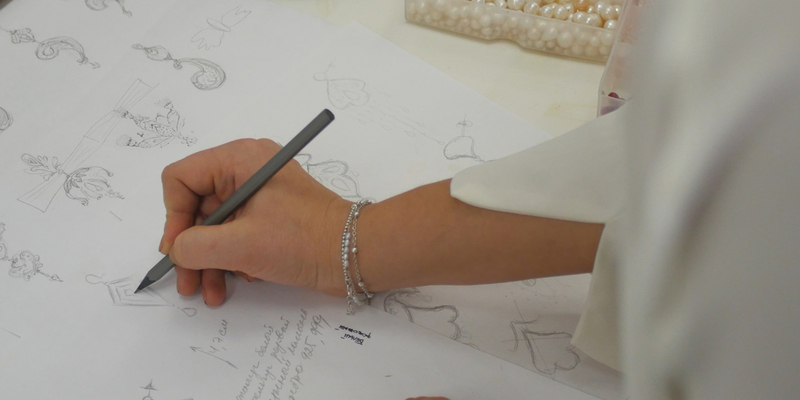 There are lots of details that go into bespoke jewellery such as the 22kt gold. By working with bespoke jewellery designers, you are able to get value for your money as you are involved in every step during production. Always ensure you get the best designers available to ensure that you get the exact thing you visualize. There is a lot of emotional value that is attached to bespoke jewellery. If for example, you are getting your loved one a piece of bespoke gold jewellery, they are more likely to appreciate all the effort you have put into getting them that. You are involved in the process. We cannot stress this enough, creating custom bespoke jewellery means that you are able to even make changes in case you are not satisfied with something.